In our srivaishnava sampradhAyam, AchAryan is identified as charamOpAyam. charama means end or ultimate. upAyam means that which gets us the goal (upEyam). Our pUrvAchAryas have established that AchAryan is the ultimate means for us to get the ultimate goal. Since in our sampradhAyam upAyam and upEyam are the same, it is imperative that AchArya kainkaryam is the ultimate goal as well. periyavAchAn piLLai explains in his mAnikka mAlai that, per vaduga nambi's words "AchArya padham is a special position and only emperumAnAr qualifies to be a perfect AchAryan". periyavAchAn piLLai's son (svIkAra puthran - adopted son) nAyanArAchAn piLLai is one of the great scholars of our sampradhAyam. He has written a beautiful commentary for chathuslOki. He has written a beautiful prose grantham named charamOpAya nirNayam. In this grantham he expertly establishes emperumAnAr's supremacy through the words of various emperumAns and various pUrvAchAryas. piLLai lOkAchAryar starts his srivachana bhUshaNa dhivya sAsthram with "vEdhArththam aRuthiyiduvathu smruthi ithihAsa purAnNanGgaLAlE" (வேதார்த்தம் அறுதியிடுவது ஸ்ம்ருதி இதிஹாஸ புராணங்களாலே) meaning "The essence of vEdham/vEdhAntham are understood through smrthi, ithihAsams and purANams". Towards the end, in sUthram 447, he says that "AchArya abhimAnamE uththArakam" (ஆசார்ய அபிமானமே உத்தாரகம்) meaning "It is the AchAryan's thoughts towards the sishyan that will uplift him from this samsAram". From this it is very clear that AchAryan is the means through which one can get the ultimate goal and the objective of vEdham/vEdhAntham is to establish this fact. 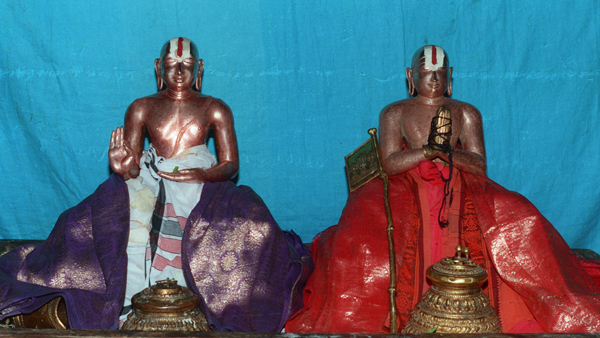 manavAla mAmunigaL identifies that our Srivaishnava sampradhAyam is emperumAnAr dharisanam as declared by NamperumAL. mAmunigaL shows this in his upadhEsa rathina mAlai 38th pAsuram. 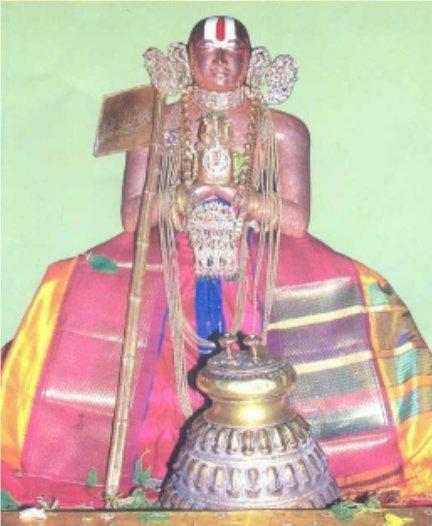 To reveal the greatness of emperumAnAr who groomed this great eternal sampradhAyam of srivaishnavam, NamperumAL declared that this sampradhAyam will be named as "emperumAnAr dharisanam". Out of his causeless mercy upon the suffering jIvAthmAs, emperumAnAr who is an avathAram of Adhi sEshan himself, reveals the hidden meanings of rahasya thrayam to those who have the desire to learn them and relieve themselves from this samsAram which is an ocean of misery. Also, mAmunigaL, in his upadhEsa rathina mAlai shows that, one has to learn the real truth from ones own AchArya in the first pAsuram as he learnt that from thiruvAimozhi piLLai. And in the last pAsuram, he shows that those who constantly meditate and practice such valuable instructions of their AchArya who is coming in this great srivaishnava guru paramparai will become the target of the mercy of emperumAnAr himself who will easily uplift such sishyas from this samsAram and place them under the lotus feet of emperumAn in paramapadham. Such are the glories of emperumAnAr that, nAyanArAchAn piLLai wrote a separate grantham to fully reveal them and enjoy them. Meditating on the lotus feet of asmadhAchAryan srImath paramahamsa ithyAdhi pattarpirAn rAmAnuja jIyar (29th pattam, vAnamAmalai mutt), adiyen is humbly attempting to translate this great work. adiyen have been fortunate enough to hear the grantha kAlakshEpam for this grantham from Sri U.Ve. 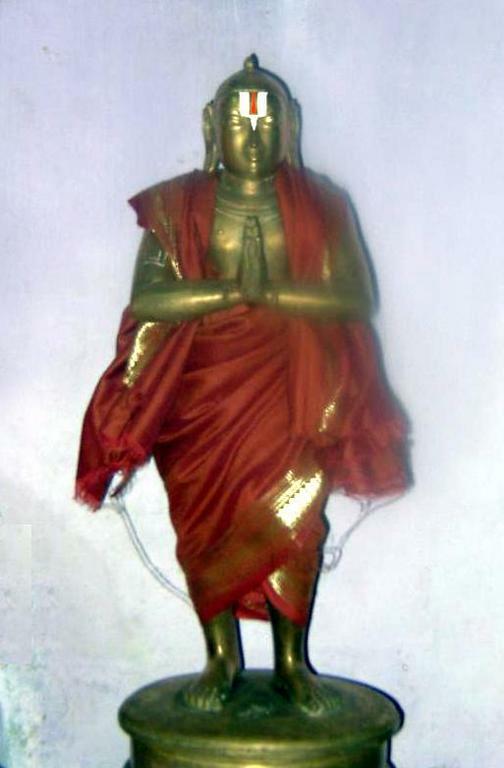 iLayavilli bhUvarahAchAryar swamy. No other grantham has brought out emperumAnAr's glories in such detail. nAyanArAchAn piLLai takes us through a divine journey where he establishes emperumAnAr's supremacy step by step. Let us also attempt to traverse this journey ourselves. Good work swami. This is indeed the need of the hour - to get people acquainted with their acharyas. Many seem to even lack the basic information of who their acharya is. Please continue with your noble kainkaryam. Hopefully more people read this and correct their behaviour.